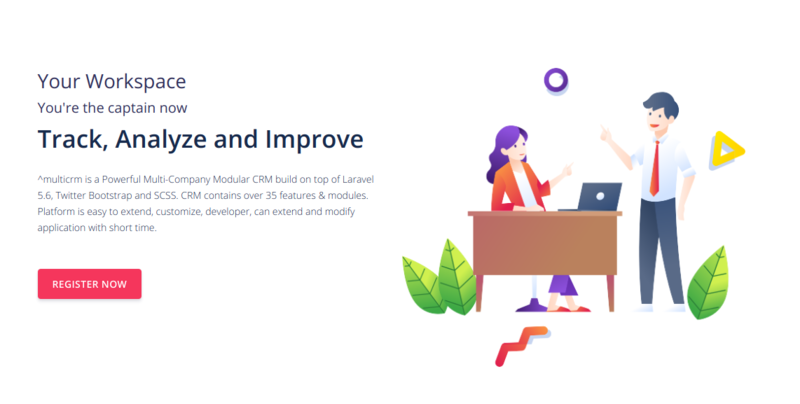 Multicrm is a Powerful Multi-Company Modular CRM build on top of Laravel 5.6, Twitter Bootstrap and SCSS. CRM contains over 35 features & modules. Platform is easy to extend, customize, developer, can extend and modify application with short time. BAP Saas Kit – Front Website integrated with Stripe and multiCRM. Multiple features. Integration via rest API, Bootstrap 4, multi-language, translations, Social AUTH (Github, Facebook, Twitter), Administration Panel, Case Studies, Employees, Faq, Features, Jobs, Plans, Testimonials, Newsletter signup, working contact form! Everything you need to start your own Saas Business.